Lovely cake for tea-time. 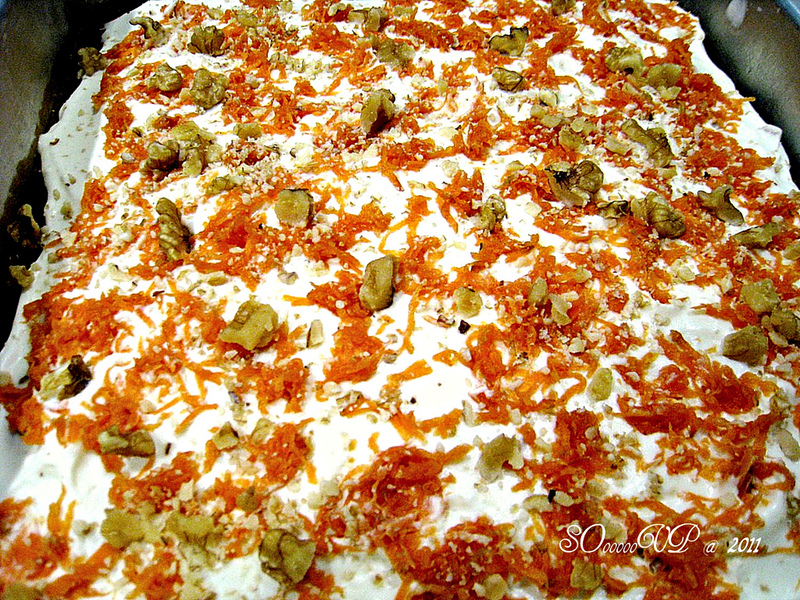 Luscious cheese-cream frosting with crunchy walnuts and lots of carrots and pineapple. This is a much improved version than the previous cake. lovely carrot cake and like chili I don't think there is a bad recipe!